CBSE (Central Board of Secondary Education ) want a project in all the major subjects like C++, Python, Informatics Practices, Physics, Chemistry, Accountancy, Business studies, Economics etc. The whole purpose behind these projects is to – whether the student is able to apply the whole knowledge acquired during these years. 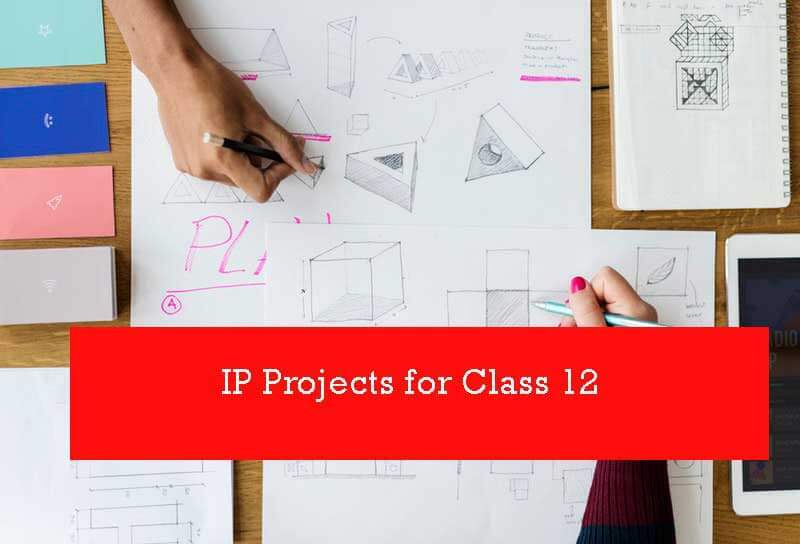 The purpose of these 20 IP Projects for Class 12 students is to provide students with a whole new dimension, how much they can do with their limited knowledge and how much useful application programs they can develop. This list of Class 12th CBSE IP Projects source code is not complete – there is always some space for improvements and we would be very glad to know your ideas. Project work is a comprehensive part of Practical Examinations in Information Practices Subject. The Project work can be done in a group of 2-3 students and Project Report to be prepared and submitted to Examiner at the time of Practical Examination. Installation steps are given here for guidance. Your Project folder for Example SpopKeeper in case you have unziped sport_shop.zip file. Open your Project folder in Netbeans and Make necessary Changes inside your code ie change Database Name, Default Username, and Password. Press Shift+f6 to run your Project to check its Working. These IP Projects for class 12 developed using NetBeans IDE, All these NetBeans IP Projects were developed using NetBeans 8.1 and MySql 5.1, So you are requested to download and install JDK8.1, NetBeans and MySQL on your system and include MySQL library inside your NetBeans Project. These operations are compulsory for each and every student to master using NetBeans and MySql without this knowledge, You will not be able to understand these Projects. So Before you download any project and browse its code, it is highly recommended to understand these concepts properly. NetBeans Projects by Yashwant Kanetkar: This book has some of the best NetBeans Projects, I have ever seen. The language of this book is simple but require your previous knowledge of Java language. 100 C++ project for Class 12 Student is also available for C++ students of class 12. Hope these project will help you to understand your NetBeans and MySQL concept and using any of these IP projects for class 12, you will be able to develop your final Class 12 IP project effectively. If you have any opinion or suggestion, please drop your comment.